It’s Halloween this week! I’m going to dedicate all my posts this week to celebrate 10/31. As a kid, the best part was the candy. As a grown up, the best part is the creativity. What I mean is that I try to DIY costumes, decor, and create some fun themed foods. Last year, I made Minion hats for the entire family. More impressively, look at our Halloween party from last year! 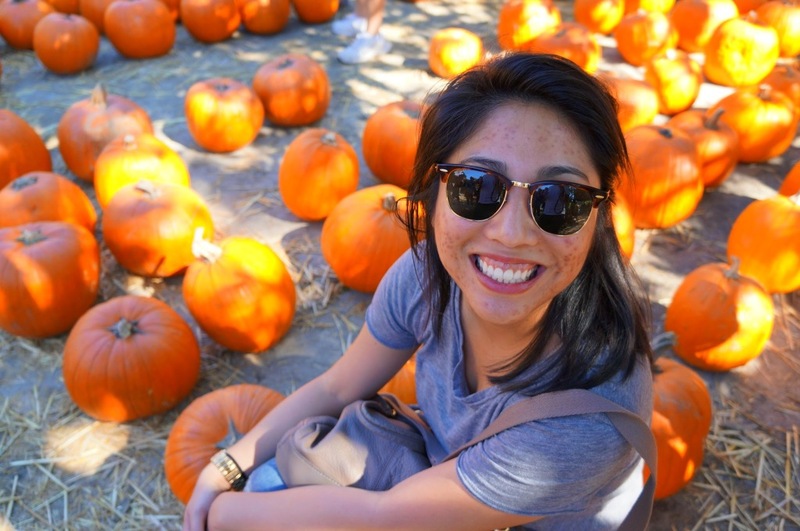 Every year my friends and I go to the pumpkin patch, and I’ll host a carving party (see last year’s post here). It’s fun that we get to start these traditions now and one day when we have kids, we can pass these types of celebrations down to them. The next couple of years will be interesting since our friends and even us, we’ll be starting families. When we have kids, these type of things will only better! 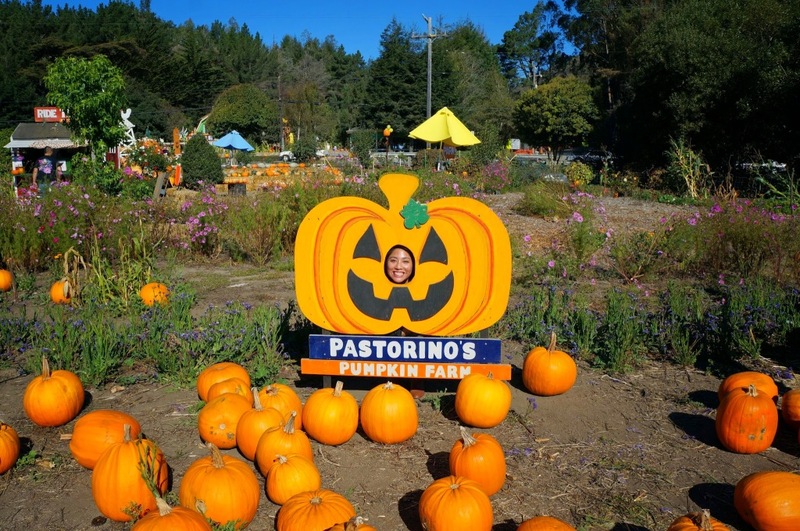 This year we went back to Pastorino Farm again (we always have such a great time there). This time around, we extended our patch outing to our fellowship group. The more the merrier! 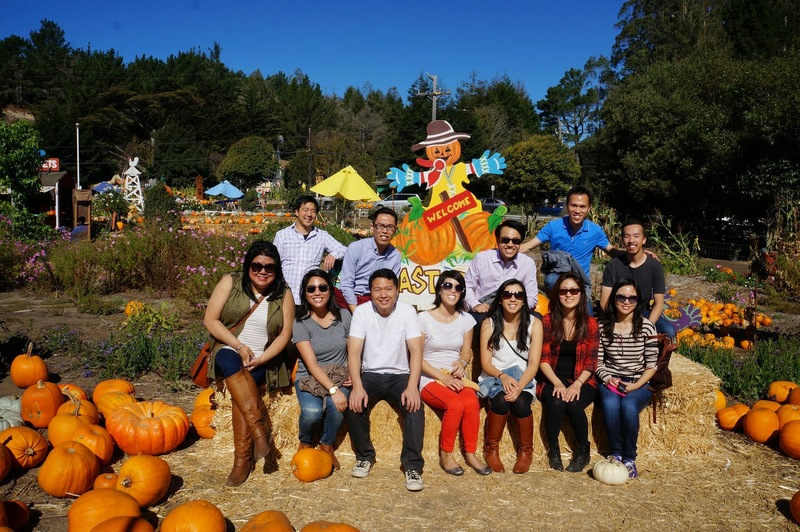 We started the Hayward Fellowship Group in January with about 6 people. We’ve grown to 15 people, which means more than double in size! God’s done some amazing things with our group, and I hope that He continues to teach us and surprise us. 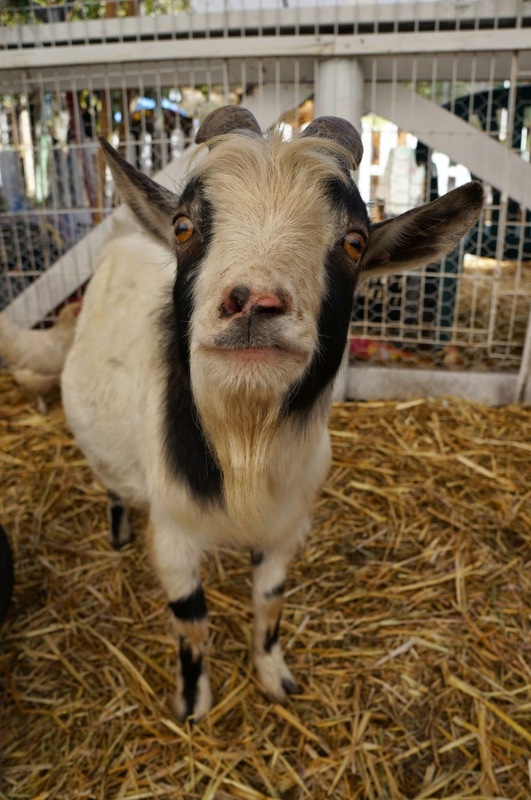 Don’t laugh… the best part about this place – definitely the petting zoo! 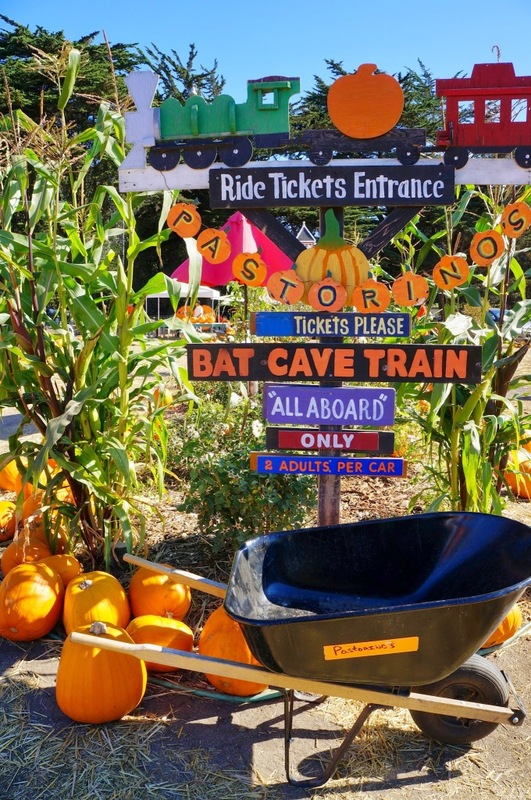 Perhaps my inner 5 year old kid comes out at the patch! Look at this happy goat. 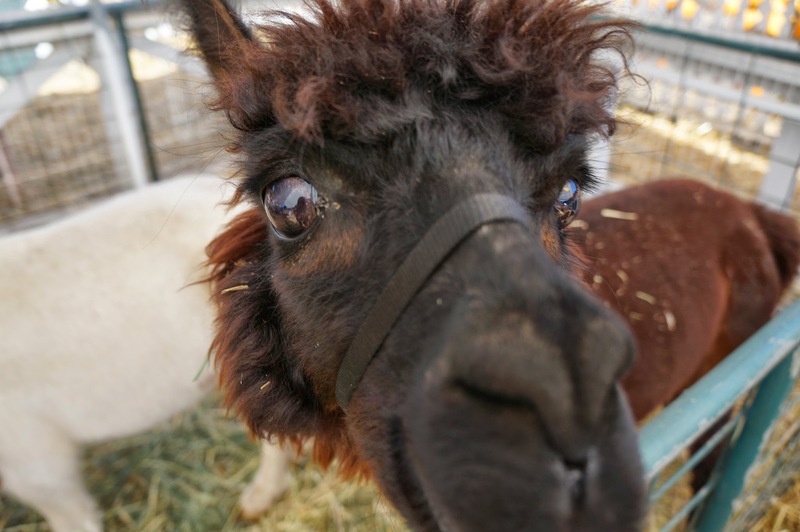 More importantly, look at this fricken adorable Llama! I wish I could take it home, but I’m afraid MG would kick me out of the house (tehehe). We actually carved on a separate day because everyone else had plans after the patch. 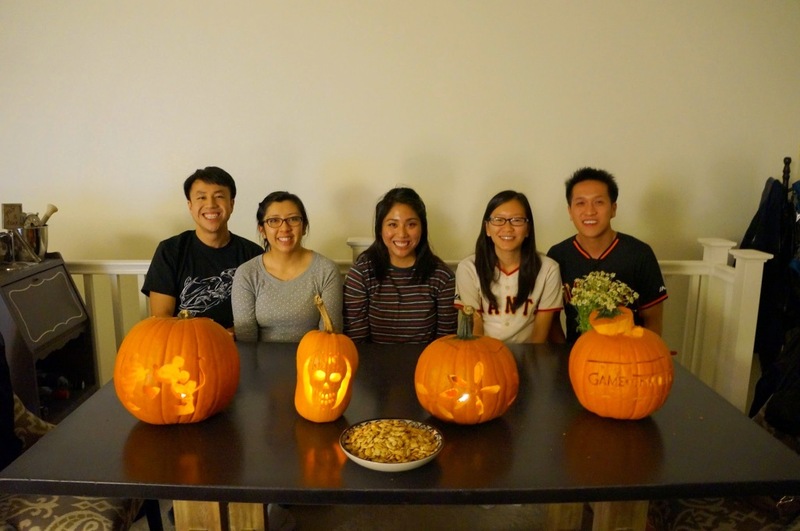 Nonetheless, an awesome carving party again! I bought a funky shaped pumpkin to carve this year. I bought it without an idea of what I wanted to carve, only that it spoke to me, “Take meee home!” So I followed its instructions and came up with this. And no pumpkin carving party is complete without roasting seeds. 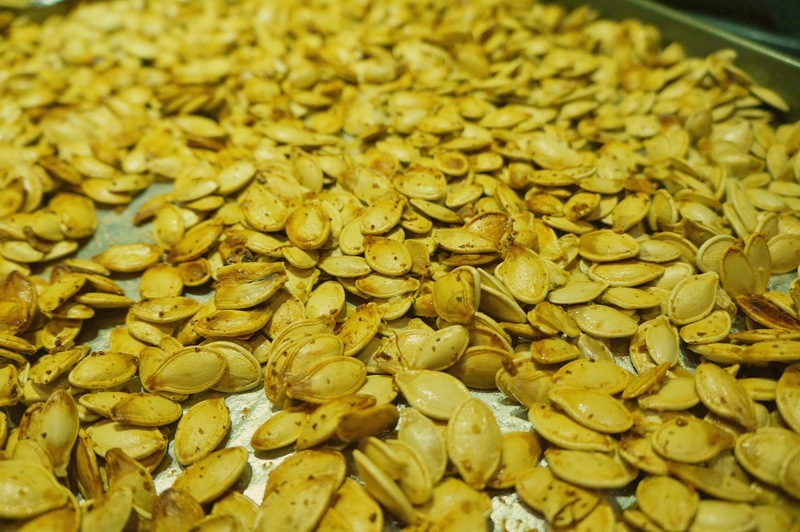 This is my special Garlic Butter Roasted Pumpkin Seed recipe. Wash and dry your seeds. Add two tablespoons of melted butter, sprinkle garlic salt, mince 3 garlic cloves, and mix well. Then roast them for 60 minutes at 300°, turning the seeds over every 15 minutes for an even roast. So crunchy and delicious! And very addicting! Halloween gets me so happy and ready for the Fall. Once October is over, I feel like everyone starts to get into the spirit of Thanksgiving and Christmas (only the best time of the year, if I do say so myself). 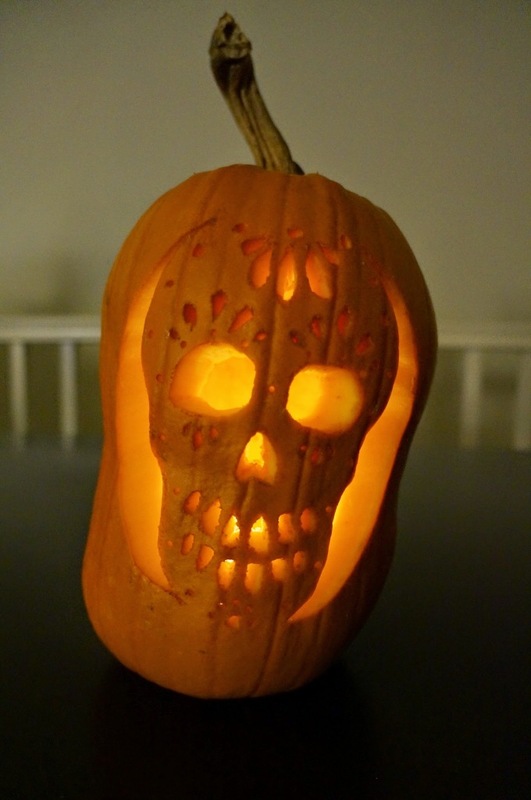 What are some of your Halloween traditions? Promise me you’ll come back to see my DIY costume, Halloween decor, and our Halloween party later this week. Annual Pumpkin Carving Party Nerd Party & Antiques Camping Prep Happy Halloween! This entry was posted in Uncategorized and tagged carving, halloween, pastorino, patch, pumpkin, roasted, seeds, skull traditions. Bookmark the permalink.